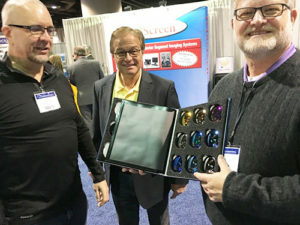 Robertson Optical executives introduced 13 mirror coating colors offered by POLAR+ recently at SECO. “Hello to fashion, good-bye glare” is the new tagline for POLAR+. POLAR+ is Robertson’s privately-labeled lens product with backside AR, backside UV and mirror coatings. 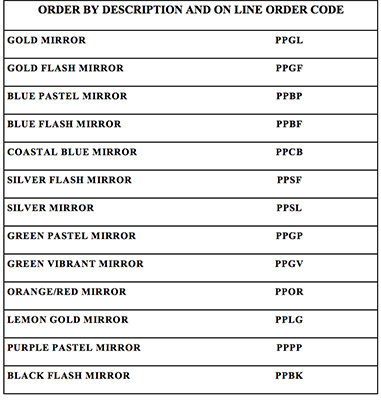 The mirror coatings are now offered in 13 colors. Introduced in 2015, POLAR+ is available on any lens produced in house by Robertson Optical Labs. The POLAR+ lens offers the most advanced protection from the sun, combined with attractive cosmetic features due to the colorful coatings. This is the ideal package for patients asking for mirrors, because it gives them the benefits of polarization, along with advanced backside AR and UV.